The bugs are back in town! 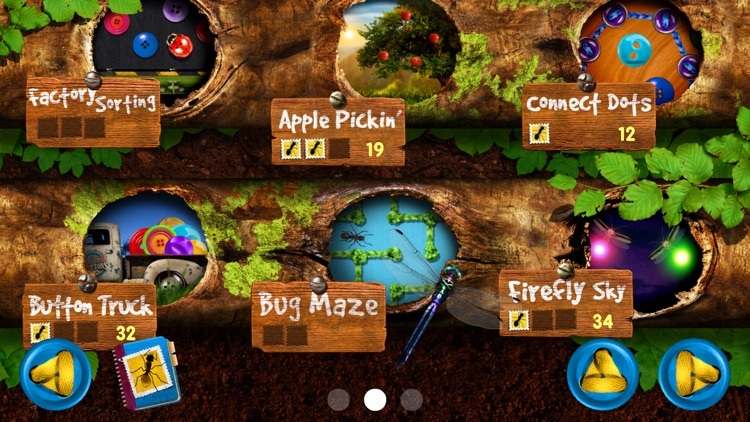 As the original developers of the bug apps, we’re proud to have them back. 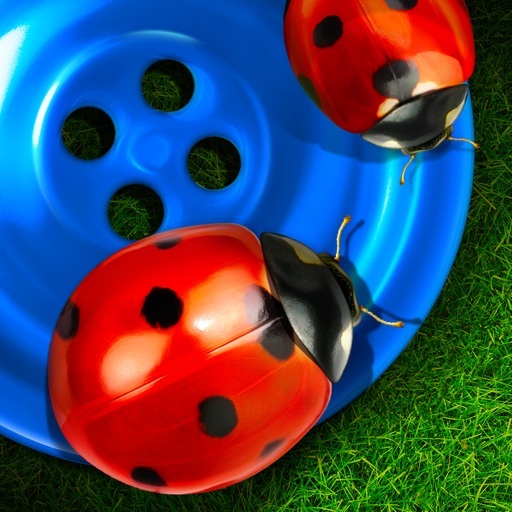 Find out why the award winning Bugs and Buttons is loved by kids and adored by parents and professionals alike. 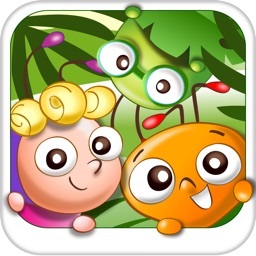 This app is a carefully crafted collection of 18 whimsical games and activities designed to reenforce countless educational skills while providing an entertaining and healthy experience for kids. * Find hidden achievements behind objects. Many games use an advanced leveling that will adjust to the child’s performance. For a minimum amount of game play, the leveled games will become harder or easier based on how many mistakes the child makes. After the minimum amount of play, the game will enter into a bonus mode that will only increase difficulty until a final mistake is made. We find this provides an entertaining, yet challenging, experience without overwhelming. 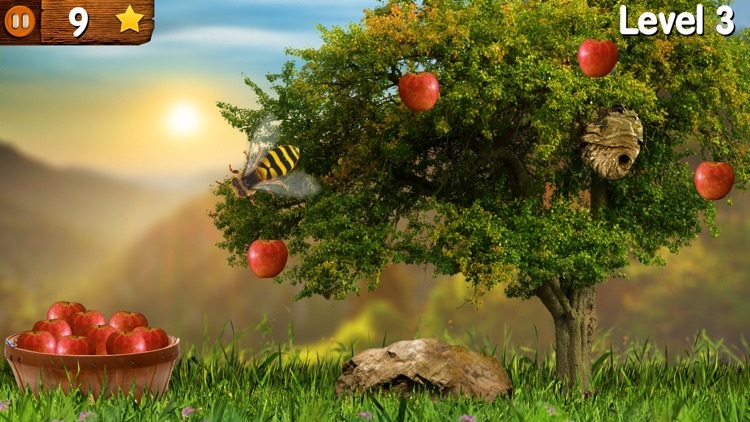 Pick apples by tapping and dragging them to the basket. Watch out for bees as they force you to change your path. Better hurry before they're too ripe! 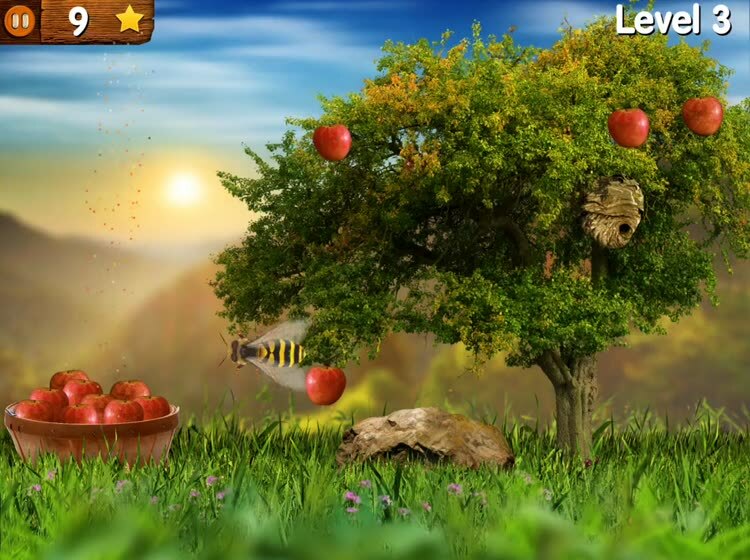 Practice hand eye coordination by retracting, aiming, and flinging bees at a beautiful flower target. It’ll get harder as objects begin to move. Solve fun mazes by tracing the path. Beware of the dragonfly, but always get the rocket — it’s fast and fun! It’s a fast and furious button tapping race. 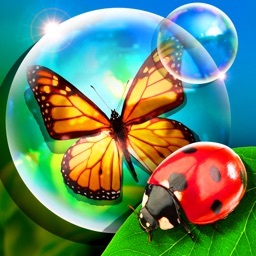 Propel your bug faster than the others by quickly tapping the alternating buttons. 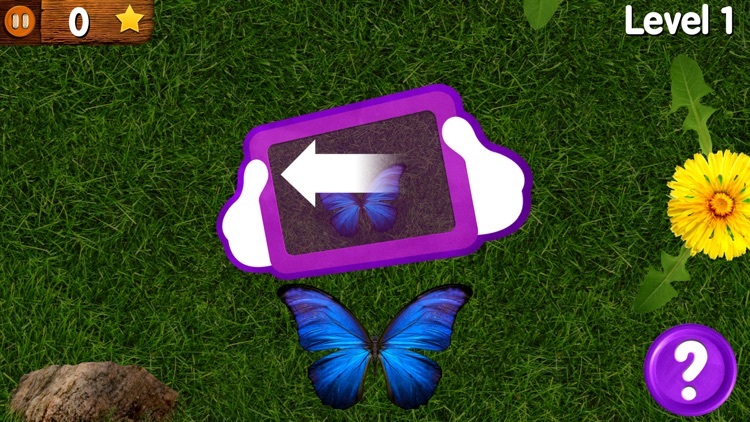 Peacefully steer your butterfly through beautiful dandelion gates by tilting the device. It might start slow, but don’t expect it to stay that way. At Uncle Bob’s button factory, it’s a frantic task to sort and pack buttons. We’re not sure who’s controlling the conveyor, but you have to be quick. Tap the wandering bug for extra time! The road to Uncle Bob’s button factory is a little rough. Collect the buttons that fall off his truck. Beware of the bees, you don’t want to collect them. It’s a fast paced, bouncing good time, that requires good hand eye coordination. 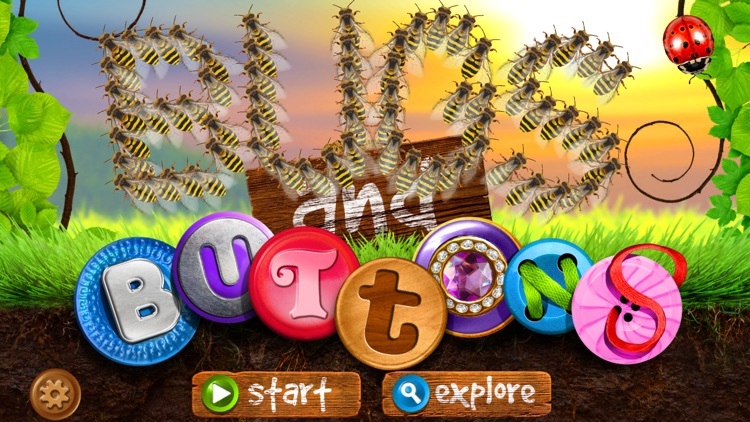 How fast can you tap each and every bug in this four rounds of erratic bug swarms? Sequentially count by tapping the numbered buttons in the correct order. 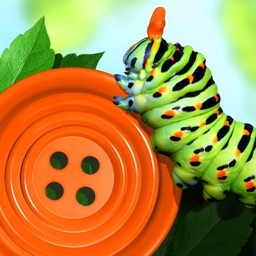 Each correct tap yields a yarn connected shape that bugs will trace along when completed. 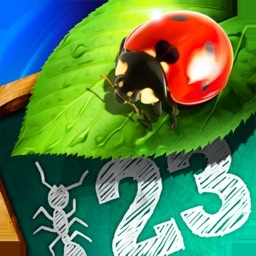 Perform a series of tap counting on bugs and then select the correct answer. 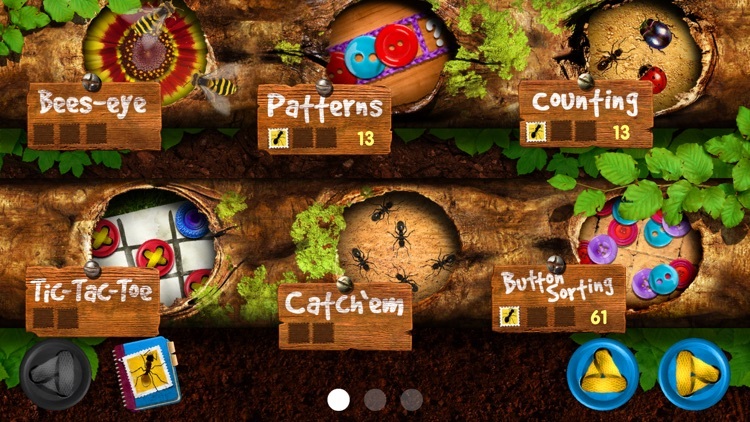 Help Uncle Bob remove the bugs from the buttons in this fast paced sorting game. Grab the bugs before they pass, but be sure to put them in the correct container. A classic memory based game that requires watching carefully. 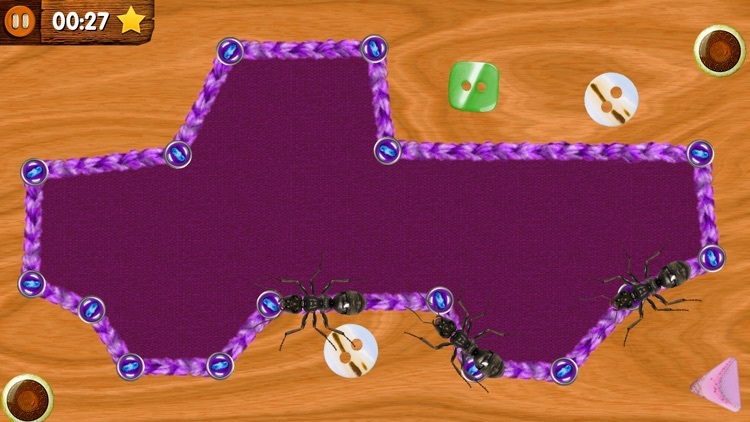 Watch the thimbles move quickly, but remember which one the ant is under. 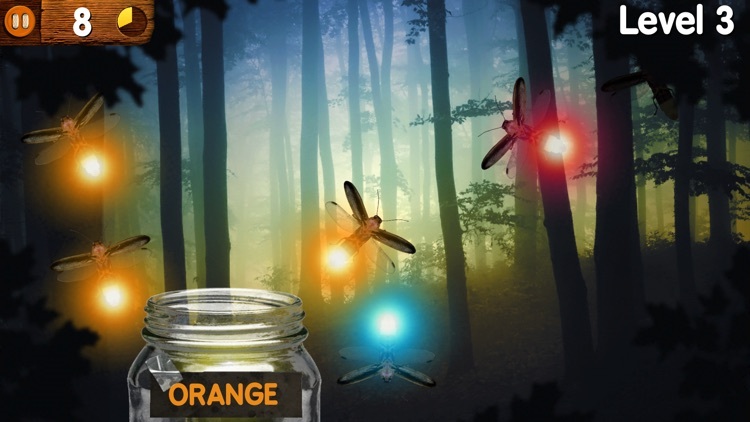 With enchanting nighttime themes, quickly catch and collect the correctly colored fireflies. The letter train is a beautiful train pulling cars of buttons. Each has a portion of the alphabet, but is missing one. 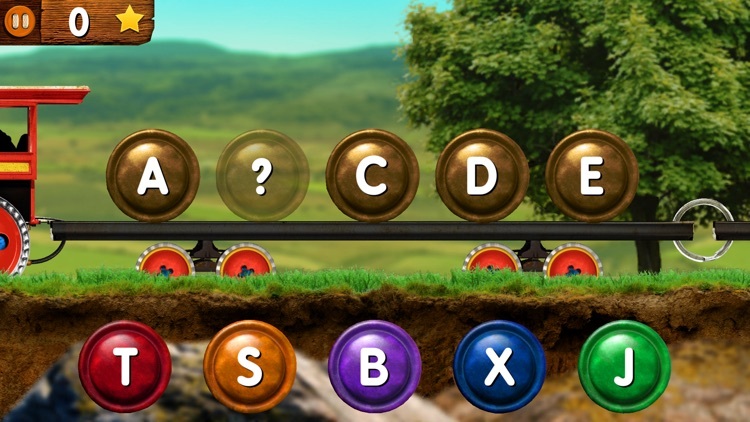 Pick the correct lettered button and drop it in the appropriate location on the train car. Another classic memory based game. 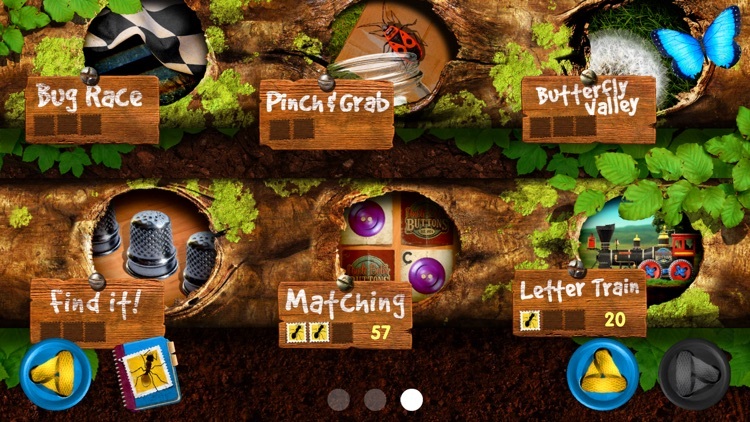 Find the matching cards by button style and/or letters. With increasingly difficult patterns, drag the correct button to the yarn grid to complete the pattern. Have fun collecting bugs and recycling cans or cardboard. Using two fingers, simply pinch and drag. Just remember, the recycling containers are not for bugs. 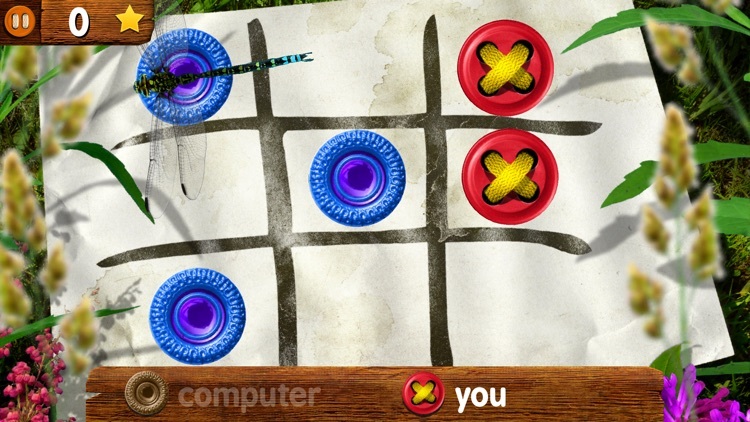 Play the classic game of tic-tac-toe against a pretty smart dragonfly.